Anyone posting spoilers without spoiler tagging them in this thread will be banned. This is effective as of post 47. You have been warned! The first semifinal has been played and man, was it a really exciting series! We got to see many different builds and a lot of pretty ballsy and risky strategies that paid off for some and not so much for others. Both BeSt and Sea slugged it out and a game 5 had to be played to decide who of these two great players will be advancing to the finals. In the end, Sea managed to edge out Best in the final game through a rather rare build that isn't used as often these days. Read the recap written by BigFan if you want more details on how things went down. 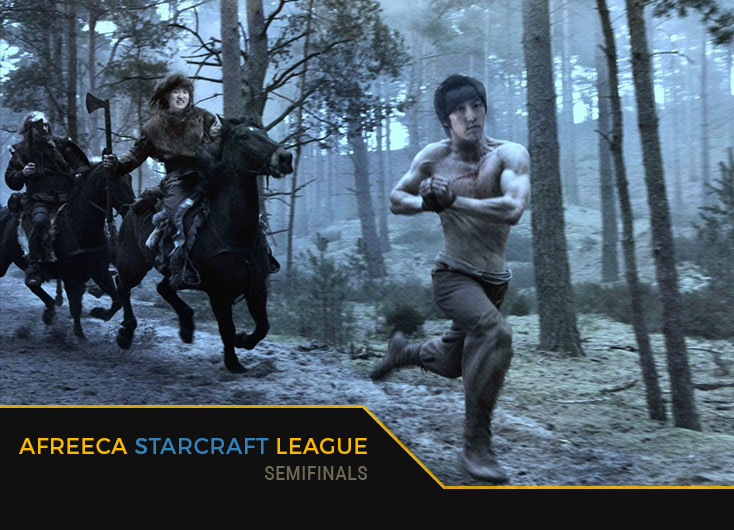 Moving on to the other semifinals, well, Flash vs Jaedong folks! FvJ! Who would've thought that we'd have them face off against each other in 2017. I can hardly believe it myself. As it stands, Flash has been slowing reaching his peak and has been destroying a lot of high level Zergs like EffOrt, ZerO and herO on Afreeca. 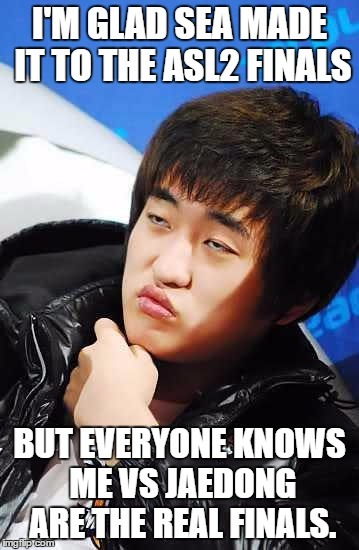 Jaedong has got his work cut out for him if he hopes to beat Flash in this series. Even though neither player is at their peak compared to their KeSPA era, they are both still extremely fearsome competitors and have retained the playstyle that helped their ascent to greatness. The question on everyone's mind is: Will we see Jaedong upset Flash using aggression and mind games or will he fall victim to Flash as Flash looks to make it to his first offline finals post-KeSPA to face Sea? So while you wait for the games which are due to start in , read on for a preview of Flash vs Jaedong from either perspective by BLinD-RawR and FlaShFTW then finish off by glancing at staff predictions to see who we believe will win! Sea advances to the finals! BeSt vs Sea, quite the anticipated and hyped series considering both players have been showing stellar performances in their path to this stage. Sea has been crushing protosses left and right, something that not many have anticipated while BeSt has shown a form that would make even Flash nervous. Many fans came out to support the players as the studio was completely packed! The first game was on Eye of the Storm. BeSt decided to go for a proxy gate and tried to put some pressure on Sea who defended the zealot harass well. With his factory finished, Sea eventually moved out with a small marine+tank+vulture force and took out the gateway. Sea attacked up BeSt's large ramp distracting his army as three vultures ran right into the main, mining its entrance and at the lone gateway. BeSt lost lots of probes and was forced to tap out soon after. The second game on Benzene played out a bit differently. Sea opened with a factory expand while BeSt went for nexus first. Sea tried a small vulture runby and got several probes but was stopped before entering the main. The game settled down as both players started macroing up; more factories, gateways and bases. After amassing a large force, Sea tried to go for an attack and sieged at BeSt's bridge, however, he was crushed and had to pull back. He decided to expand twice, taking the base at 5 o'clock then 6 o'clock soon after. Best also took his fifth base at this time and recalled into Sea's fourth base to easily take it out. With most of his army near the 6 o'clock, BeSt recalled again, this time in Sea's main and camped his production. With his main in shambles, Sea went on the offensive but could not stand up to the might of the protoss army leading to the gg. The third game on Circuit Breaker was yet again, totally different from the first two. BeSt opened with a gateway expand while Sea opted for a 2 fac. BeSt ended up adding 2 more gates and a robo which helped his production. With the help of some probes and a shieldbattery, he defended the attack putting Sea in a terrible position. From this point on, it seemed like both players made a truce to macro up. Sea double expanded while Best took a third. The game continued with mostly vulture runbys all over the place for harass while Sea took a fourth and BeSt grabbed a fifth. Once the action started, there was no stopping it. This included a drop, hallucinated arbiters leading into some great recalls with storms blanketing a large portion of Sea's army (gif) that was going to defend etc... Essentially, BeSt showed us how to tear apart a terran. Sea found himself running all over the place to try and defend and only managed to take out a single new base while BeSt slowly took over the map. Eventually, he gg'd out to give BeSt a 2-1 series lead. The game was fantastic overall, go watch it! Mind games made a grand showing in game 4 on Demian. BeSt opened with a gate core then went for a hidden nexus at 6 o'clock while Sea decided on a factory expand. The mind games paid dividends as Sea was convinced that a reaver or dt drop was incoming, thus, he erected a turret ring and mined his main. Eventually, he scouted the hidden nexus when the timing for a reaver/dt drop passed. At this point, BeSt had grabbed his own natural going up to three bases. Sea eventually grabbed his third and looked to grab his fourth while BeSt was grabbing his fifth. Realizing that he must do something, Sea managed to catch a large probe transfer with his vultures (gif). Immediately afterwards, BeSt decided to add more stargates and a fleet beacon for carriers; a move that caused his demise. While producing carriers, he recalled a good portion of his army into Sea's main but did little damage. The remainder of his army got swallowed up by Sea's vultures. Whether through a scan or game sense, Sea started upgrading range and added goliaths into his army then he attacked BeSt's natural. BeSt had no good response to the march of death as base by base down. Sea tied the series 2-2! The final game took place on Eye of the Storm and featured a BBS vs a 2 gate goon build. Moving out with 5 marines+2 SCVs, Sea got a bunker up in BeSt's base and killed lots of probes. With barely any probes left, his only goon in red health and up against 7+ marines, BeSt conceded. After last season’s embarrassment at the hands of Last, Flash came roaring back this season with nearly a clean run into the semifinals. The Terminator has re-oiled his parts and turned back on his map hacks, and it seems nothing can stop him in his rampage to the finals. Will the Dong experience the Holy Wrath of God himself? FlaSh’s path of destruction started all the way in Seoul where he smashed the competition to claim his spot in the Round of 24. From there, he dismantled Terror and Soulkey in two TvZs to make it to the Round of 16. After getting picked by Sea in the first stage, he showed what a mistake it was by confidently deflecting Sea’s 2 fact proxy, and went on to defeat him and Movie to advance to the bracket format. There, FlaSh crushed GuemChi, 3-1 with precise micro and perfect timings. And now we have it here in front of us, something we’ve missed since 2010. FlaSh versus Jaedong. Best of 5. Here we go. A battle of body and mind, who will prevail? FlaSh has the undisputed best TvZ in the game right now and it’s not even close. While his winrate in sponmatches in the month of December have not looked the hottest at 64.8%, he only has a losing record against EffOrt who has the best ZvT in the game right now. His post-KeSPA winrate is at 4-0 and his KeSPA era record was an astonishing 157-61 (72.02%). The man who popularized and perfected the +1 5 rax, and subsequently the 3 fact mech switch, FlaSh is going to utilize every tool at his disposal to make Jaedong suffer. His micro is still fairly solid and his macro is still the top 2 in the world alongside BeSt. Still, there is much of FlaSh’s game that needs improvement. FlaSh has been using EffOrt as a fantastic practice partner for his upcoming semifinals match, constantly sparring against him on stream, with mixed results. Watching his games, I feel that he needs to be better with the early game ling defense, as he generally will get a bunker fairly late and doesn’t help his wall with a supply depot at the front. If he is able to tighten his chokes even more, he should be able to hold off Jaedong’s potent ling aggression without much trouble. He’s also had some trouble keeping up with science vessels and has not microed them as well as he would like. Watch carefully for this in his games against Jaedong. 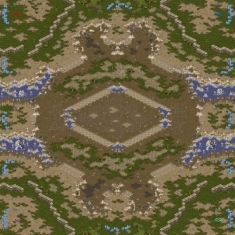 His mine placement could also be a bit better, as many times lings will slip by them when Zerg begins the assault on the Terran bases in the late-game. Furthermore, FlaSh needs to learn to adapt to the specific map and his strategy on each which we’ll get to below. Regardless, FlaSh’s strengths severely outweigh his weaknesses. With flawless macro, he’s able to churn out units and constantly pressure his opponent, especially with his near 400APM and each of his barracks hotkeyed. His micro against mutalisks and lurkers are still the best in the game with solid focus fire and pulling injured marines back from the line of fire. And his mech switch transition is near perfect, something Jaedong has consistently said in the past he’s unable to deal with. Eye of the Storm seems to be the prevalent repeat map in the tournament, which is interesting to note since it is the oldest map in the pool. I guess the pros just like the more familiar feel of this map. Game 1 will possibly see some cheese from one of these two players, either a 9 pool speed from Jaedong or a forward rax from FlaSh to throw some mindgames early. FlaSh’s strategy on an older map might not be the mech switch, but his older style of getting 2 starports for vessels while slowly expanding and adding tanks to his army. This was something I noticed with his games against EffOrt, was maybe mech switch isn’t as strong on some maps as others. That being said, with the base layouts, mech here is still solid as spider mines lock the Zerg into their 4 bases. Dropships are also very prevalent on this map given the weird walls for the mains so that will also be an interesting point of contention for the two players. Circuit Breaker is going to be a good test for FlaSh as the open areas on this map are great for Jaedong’s style of muta-ling surrounds on MnM forces. He’ll need to push cautiously and ensure proper timings to not get swallowed by the swarm. Otherwise, this is a great map for the mech switch as it’s a more modern map and FlaSh has done the mech switch on CB many times in the past. The base setups are perfect for Terran, especially with mineral only bases to help them jump start vulture production. Demian is a newer map and thus more interesting in terms of what strategy FlaSh will use. Because of how open the mains are, mutalisk pressure will definitely be expected. That being said, the 3rd base for Zerg on the high ground main is incredibly far away. Dropships will once against be very potent. It’s very possible that FlaSh busts out the 5 fact +1 armor goliath timing to squash the mutalisk attacks and kill the 3rd to cement a very strong position in the game if he expects mutas. Otherwise, +1 5 rax is still pretty strong on this map given it does very well vs 3 hatch muta. The extra bases for FlaSh are good too, as the 3rd and 4th bases are relatively close and pretty easily defended by spider mines. Scouting for hidden bases will be another key here as we saw before how BeSt snuck a hidden base vs Sea. 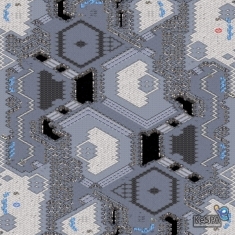 Benzene is a horrid map for Zergs vs Terran with the wide ramp 3rd and 2 entrances. That being said, it’s a decent map for mutas with the high ground behind the natural to harass from. With that, FlaSh might anticipate it and play a style very similar to that when Polaris Rhapsody and Monte Cristo were in the map pools by going for a valkyrie build. This punishes farther away thirds with a faster timing before lurkers are out and melt mutalisks in the sky. Benzene is a very popular map for Zergs to place their 3rd hatch at the 3rd position to get it up faster and FlaSh should be able to punish this should he scout it with a well designed build to counter. If the game goes later though, FlaSh should look into drop play as bases of Benzene are fairly spread out and easy to harass with vultures or marines on the high ground to halt mining. a) Defend the front: Build a bunker AND supply depot. Stop skimping on the depot, it helps the wall way more than you’d expect. 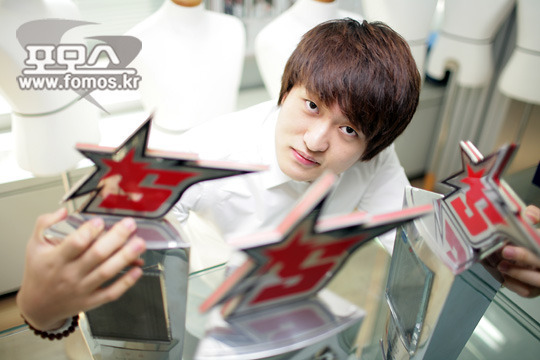 b) Turn on map hacks: Scanning for those stopped lurkers because we know how much Jaedong loves them. c) Vessel Watch: More APM spent dedicated to ensuring your vessels are safe. d) Mine placement: Stop the ling flood from reaching your base in large numbers. e) Play your game: Your macro and micro are still the best in the game. Get the job done. LeeSsang-Rok, A rivalry once defined as the height of BW. A rivalry revisited almost 7 years later, in a way that resembles their beginnings, with both Flash and Jaedong with a real hunger to win more than ever. While Jaedong did completely dominate Stork in the Ro8, the same could be said for what is going to happen to him against flash now especially after looking at both player's stats against the opposing race (Flash TvZ: 54-18 (75%), Jaedong ZvT: 10-22 (31%)). Jaedong is a player who learns from his losses and let's not forget his mechanics and his star sense, something that he's shown abundantly so far in the ASL by just leaving guys like Mind, Sharp and Mong straight up bamboozled from their matches against him. Jaedong's core strengths are what will keep him in the series. His early game ling control and subsequent aggressive use of them could cause Flash some real problems unless he scouts right since Flash tends to skirt around getting defenses in the matchup. Any well timed ling bust could mess up Flash's build. In the mid game, Jaedong's scourge control needs to be on point because Flash has had trouble with keeping his vessel count up. Having more trouble with that can not only weaken the mech switch but cripple him before it can even happen as this leaves Jaedong's mutalisks free to continue terrorizing Flash's bases. Eye of the Storm (Set 1 & 5): Jaedong's goal on this map is to get to 4 gases as quickly as possible. Mutalisks and scourge are key on this map as Flash is less likely to switch to mech as fast as he would on other maps in the series making dropships from flash more likely. Once Jaedong is able to identify and deny drops, he should be able to get into a huge enough advantage going into the late game with ultraling, destroying what little mech flash could get up by that point. Circuit Breaker (Set 2): Jaedong needs to take control in the early game on CB and take advantage of Flash's playstyle of skirting through less defense and get his lings inside Flash's base. How Jaedong fares with his initial mutaling attack will define the course of the game. Demian (Set 3): This is quite a new map with not enough TvZ played on it, but it's really good for muta harassment. The wide open mains and ridge over the natural makes it pretty much a heaven for mutas and lurker drops, especially if the positions favour Jaedong for it. Benzene (Set 4): This is a hard map for ZvT. There are a few things going for it with the high ground ridge to sit lurkers on above the natural and the vast area of ridges at the mains to comfortably sit overlords and mutas, but it's really difficult to secure a 3rd gase, especially with the obvious choice for a third base having 2 ramps. Unless Jaedong plans on going mass speedling, it's unlikely that he would take the mineral only before taking the base at 10/5 o'clock. FlaSh 3-1! Nice writeup, can't wait. God, it is time to once again reign supreme over the best RTS game ever made. Jeadong will have a few strategies for Flash, of course Flash will easy know that and against it easily! I waiting for big fighting games: mech vs ultralisk + zergling + defiler. Terran vs Zerg is matches of time. If Zerg exist than 20 minutes, Terran will very difficult to defend Terran's games even Terran has many minerals than Zerg. It seems like you guys are 100% sure he'll go muta almost every game. But oh well, we'll see. 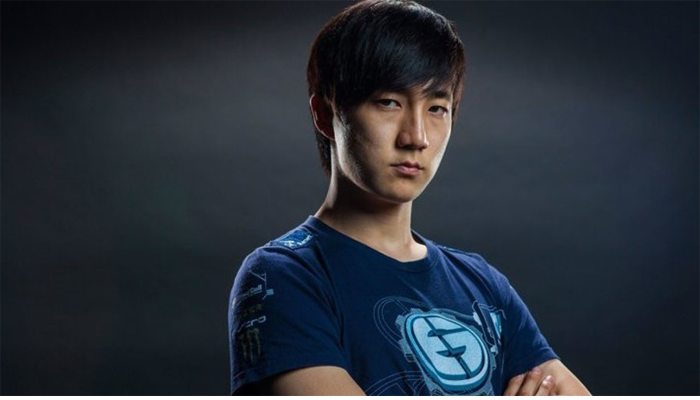 Is jaedong still with EG? How does this tournament work? The Hype is real, DON*T LET ME DOWN! No, he isn't. He is belong to Kongdoo now! what do you mean? its like any other tournament.